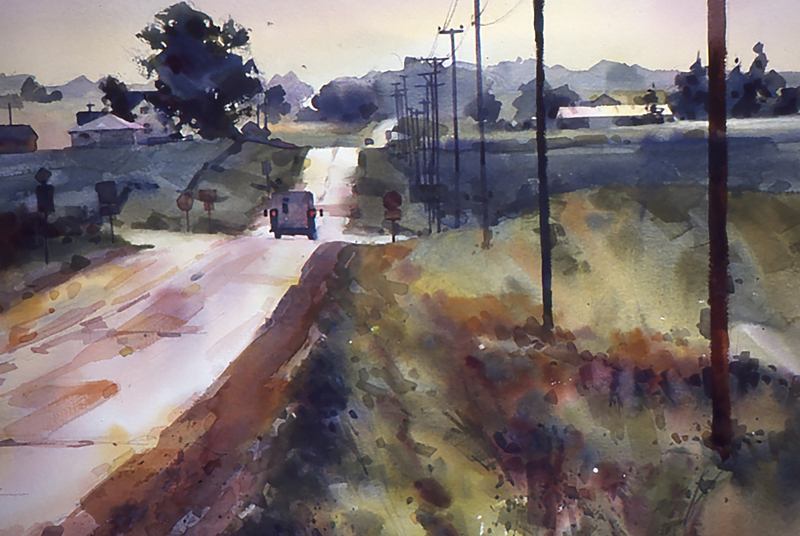 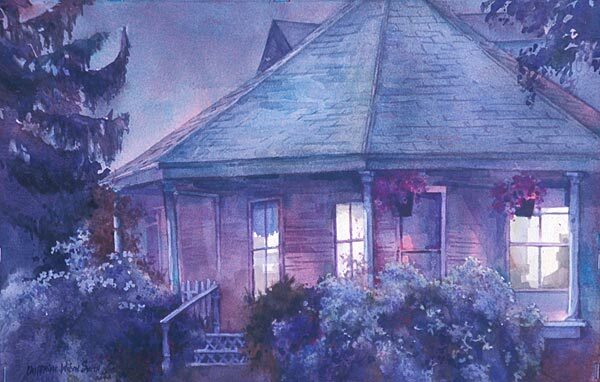 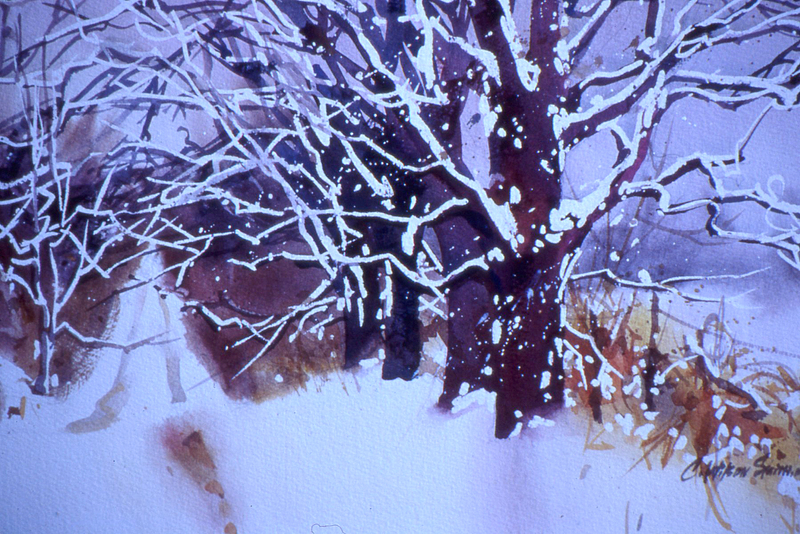 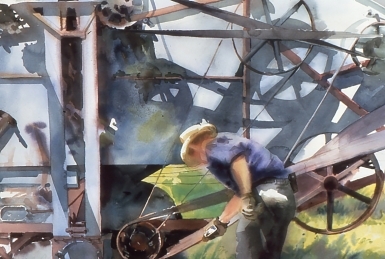 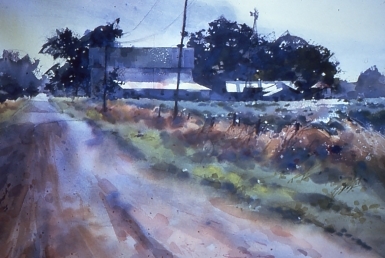 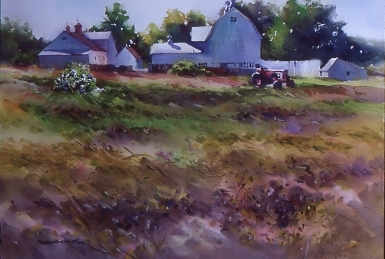 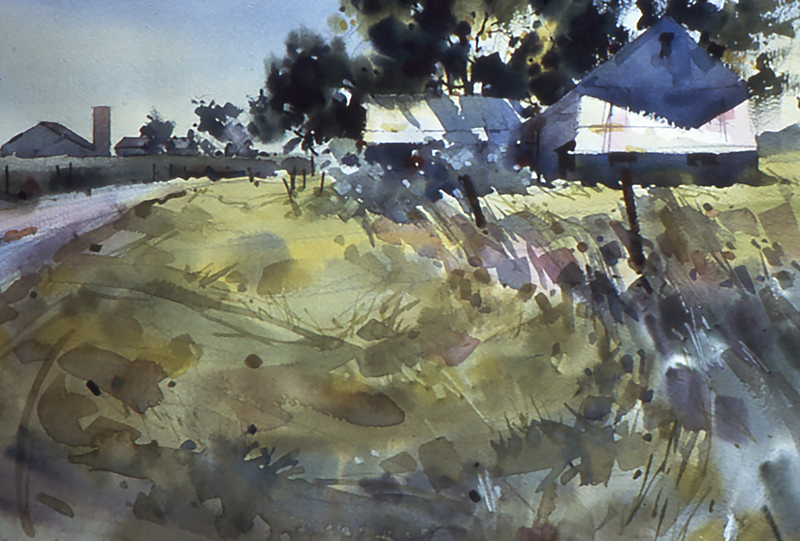 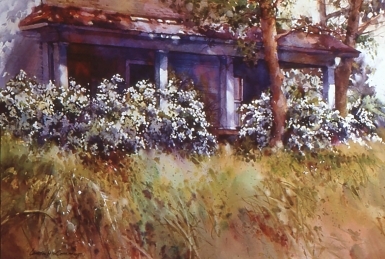 Click on the large thumbnail to view the entire watercolor. 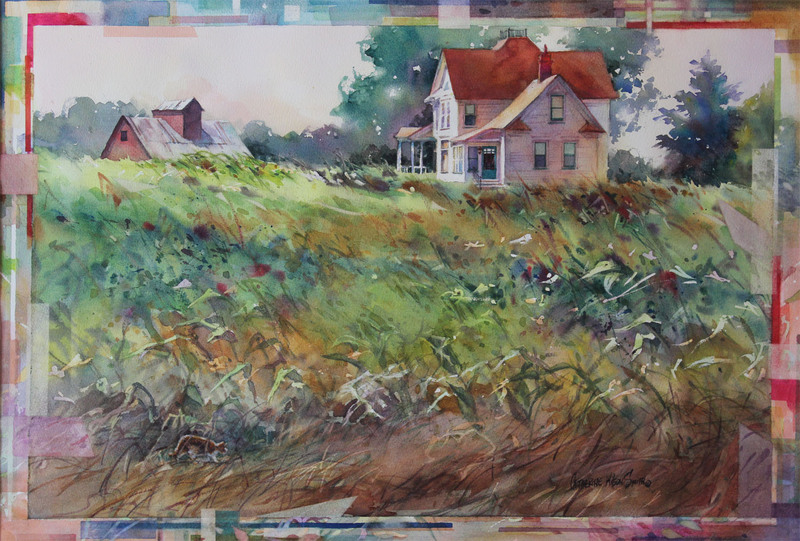 Summer Field II - 19" x 27.5"
Summer House - 19" x 27.5"
Labor Of Love - 22" x 30"
Looking Down Plato Road - 22" x 30"
Emerging Road - 19" x 26"
Summer Road - 21" x 29"
Bridal Wreath - 25" x 36"
Respite - 12" x 16.5"
Cows Morning Light - 15" x 11"
Midwest Summer- 15" x 20"
Rising Morning Vapor - 21" x 29"
Last Winter 11" x 15"
Summer Door - 32" x 25"
Waves of Summer - - 22" X 30"
Midwest Rhapsody - 16" x 21"
Night Shades - 12.5" x 18"
Summer Tapestry - 22" x 29"
Night Song - 19" x 23"
A second generation fine artist, Catherine Wilson Smith studied fine art exclusively after winning the First Place Competition Scholarship to the American Academy of Art in Chicago in 1966. 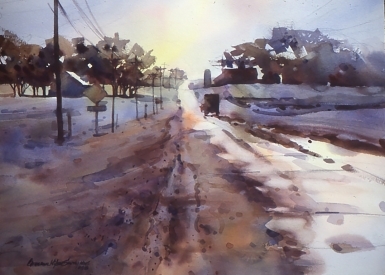 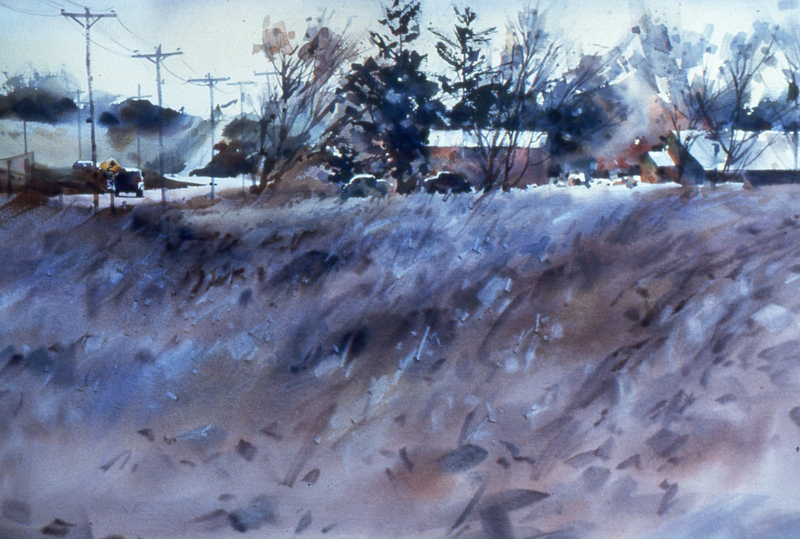 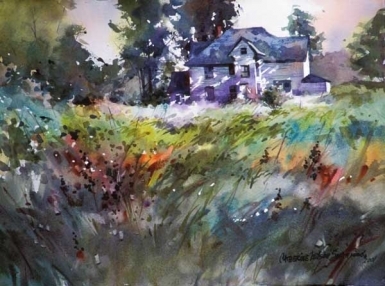 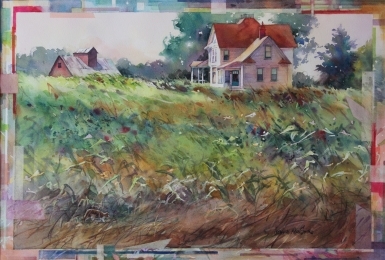 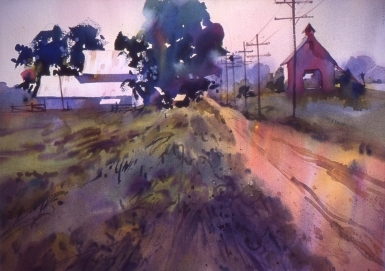 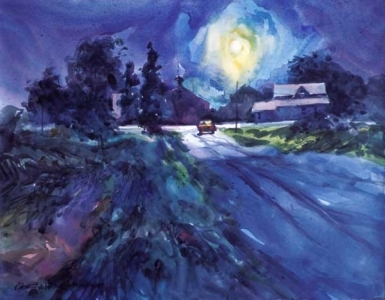 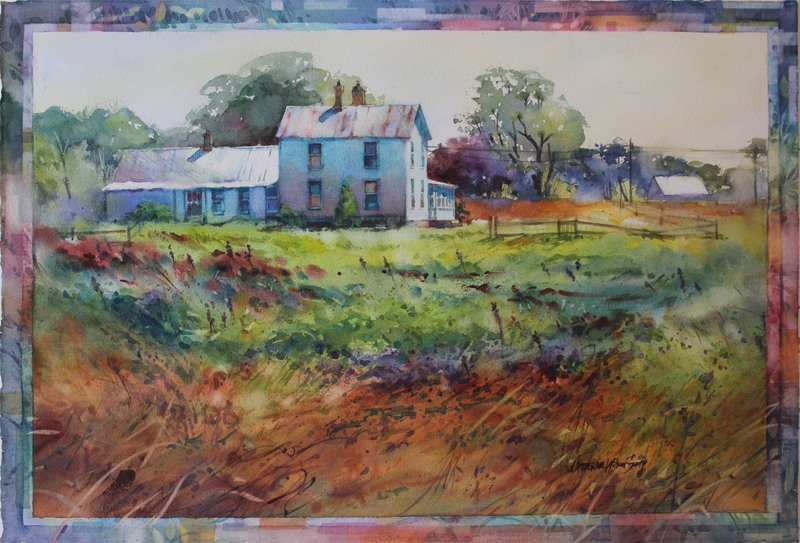 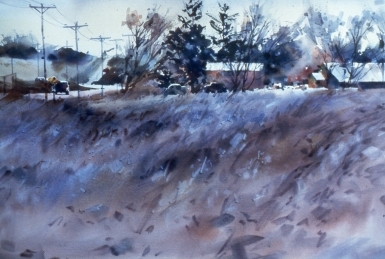 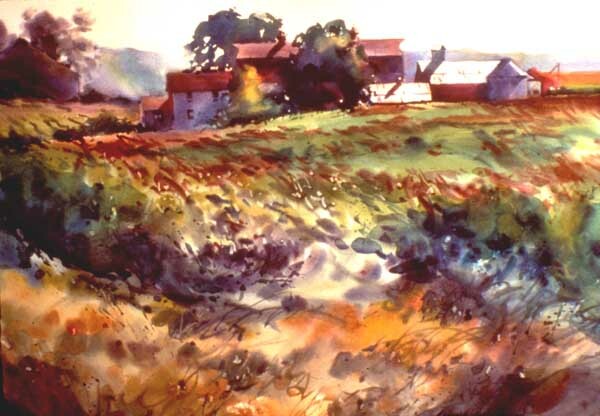 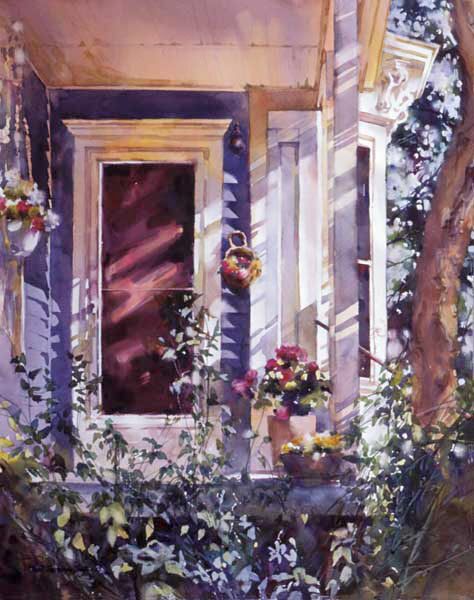 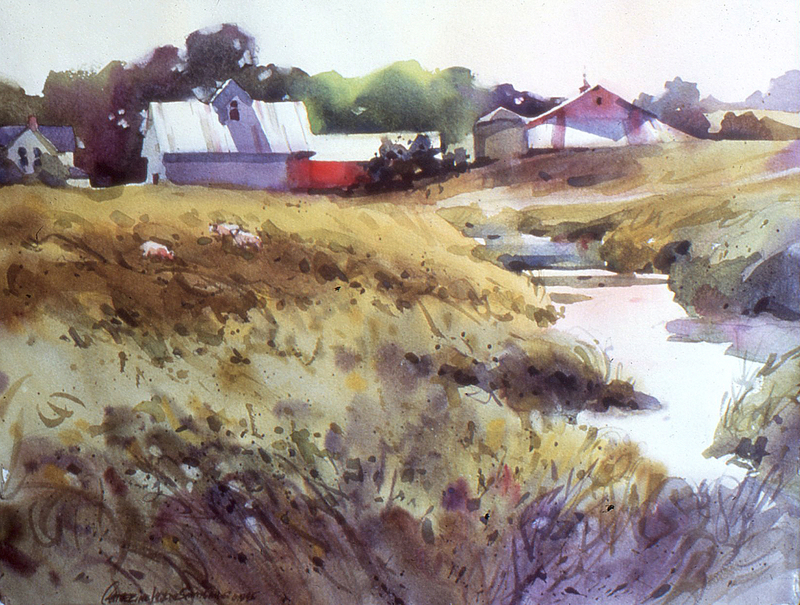 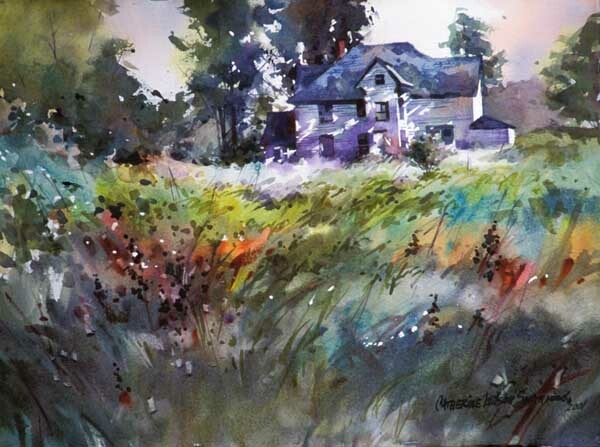 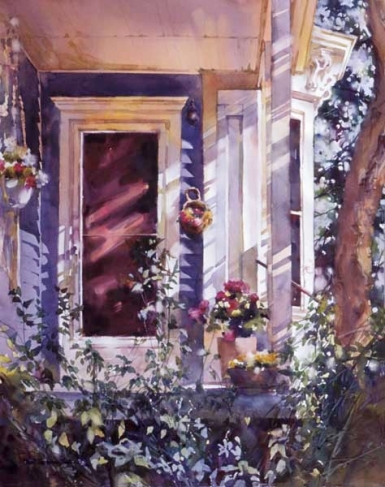 Catherine is an honored Signature member of the Transparent Watercolor Society of America (TWSA), Watercolor West (California), the Georgia Watercolor Society, a Sustaining Member of the American Watercolor Society (New York) and an honorary member of the Northlight Watercolor Society (Duluth, Minnesota). 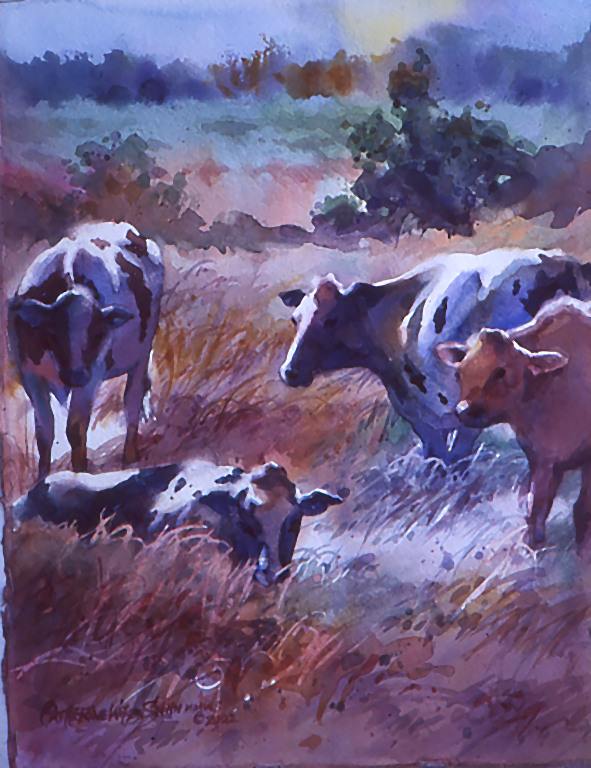 COPYRIGHT © 2013 - ALL RIGHTS RESERVED. 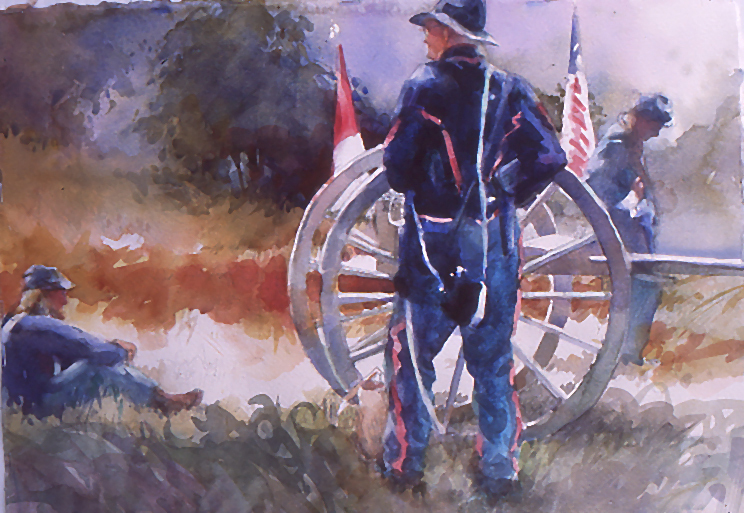 WEBSITE DESIGN BY LIGHTHOUSE MARKETING SERVICES, INC.